Recently on Facebook, a new friend sent me a photo I had never seen. 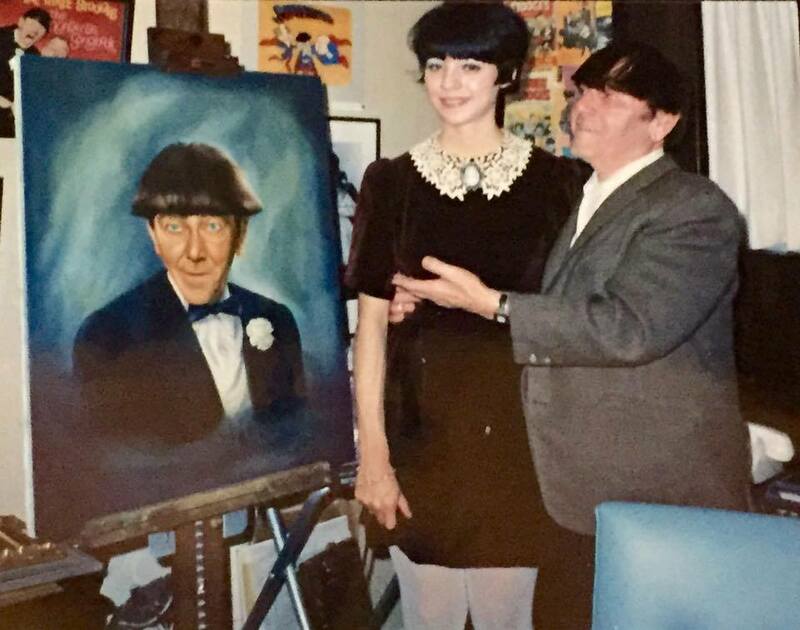 It is a photo of me and Moe Howard of the Three Stooges and a portrait I painted of him. He is an avid Stooge fan and came across the photo. I was 16 years old at the time and visited him in his home (where the photo was taken). 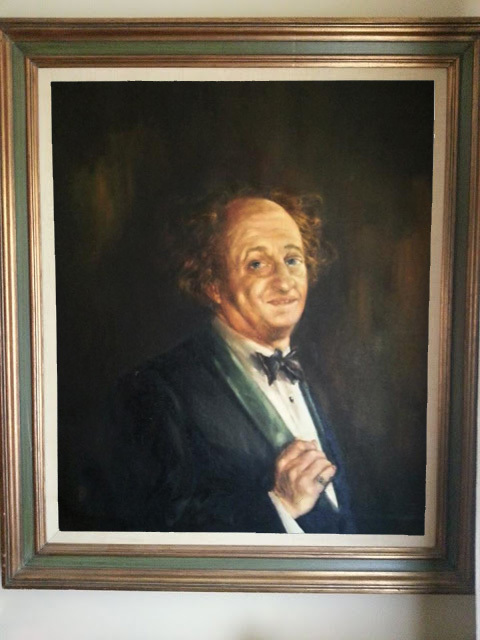 Also the same week, in a coincidental unrelated encounter, I got an e-mail from the Great-great Grandson of Larry Fine of the Three Stooges, named Kurt Lamond who for years was searching for the Artist of Larry's portrait! 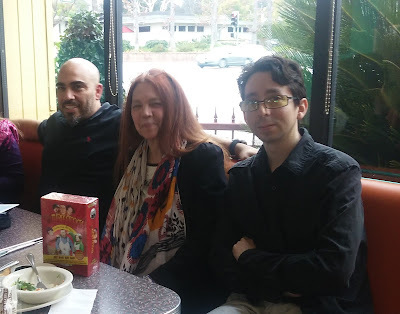 We ended up meeting over Lunch and learned about much Stooge trivia and getting to know a super guy! His Grandfather was actor and TV host, Don Lamond. Don appeared in many Stooge films and hosted a Kids TV show, which I made an appearance on in the 60s, showing Stooge Art!